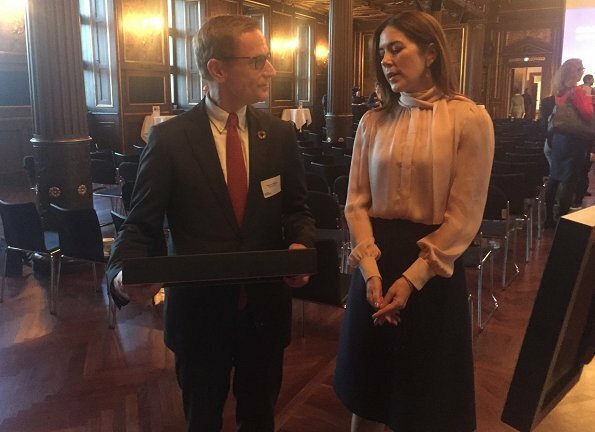 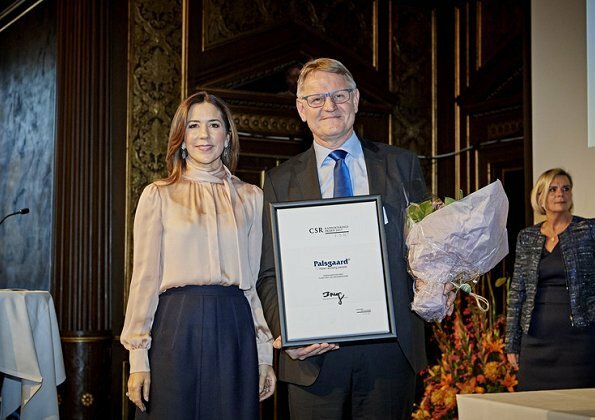 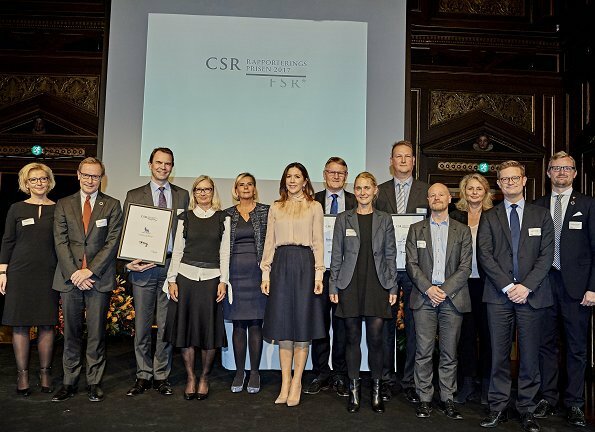 Yesterday, on October 26, 2017, Crown Princess Mary of Denmark attended award ceremony of FSR-Danish Auditors, held at Copenhagen Stock Exchange building and presented awards to the winners. 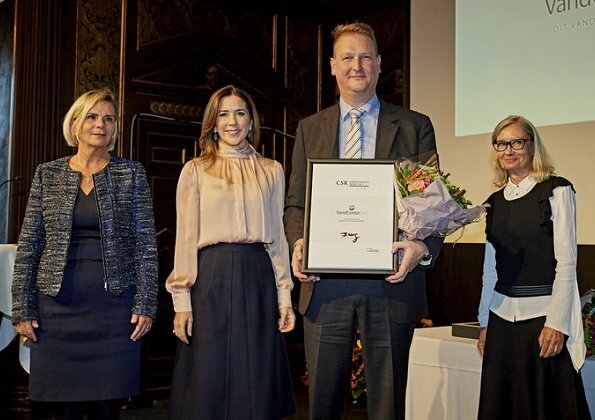 This year, medicine company Novo Nordisk, food producer Palsgaard and water purification company VandCenter Syd. 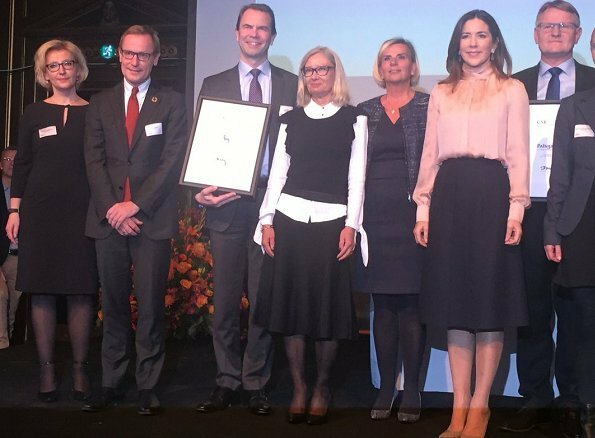 were awarded. 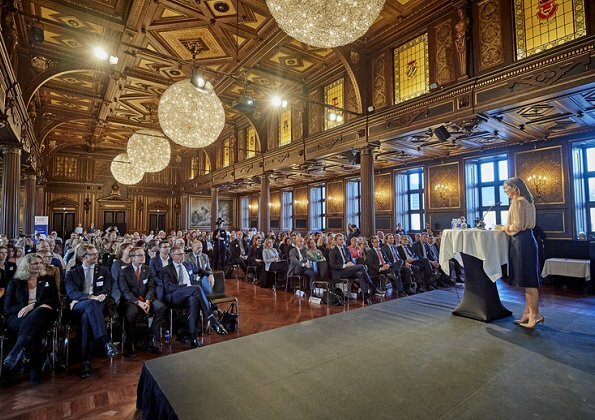 FSR-Danish Auditors is an organization working in fields like accounting, tax and business economics and represents accounting sector in Denmark. 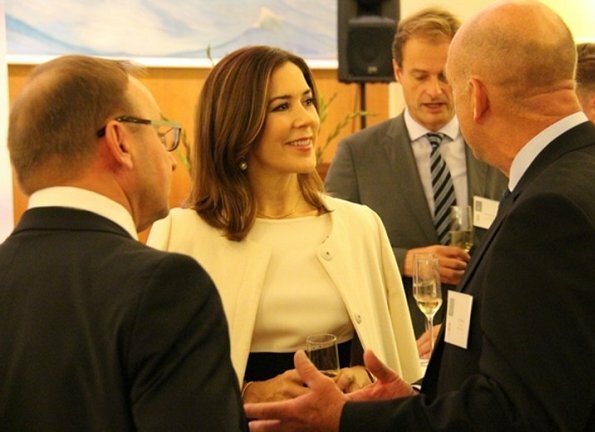 On October 25, 2017, Princess Mary attended a reception held for 25th anniversary of establishment of Naval Team Denmark. 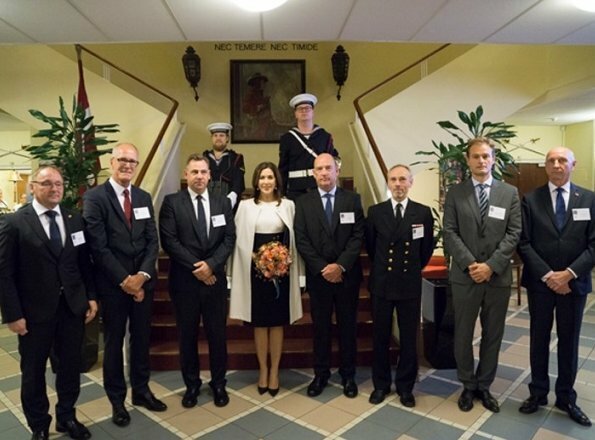 NTD (Naval Team Denmark) is an organization established in 1992, is within the structure of Danish Defense Industry and has a close cooperation with Danish Royal Naval Forces (RDN). 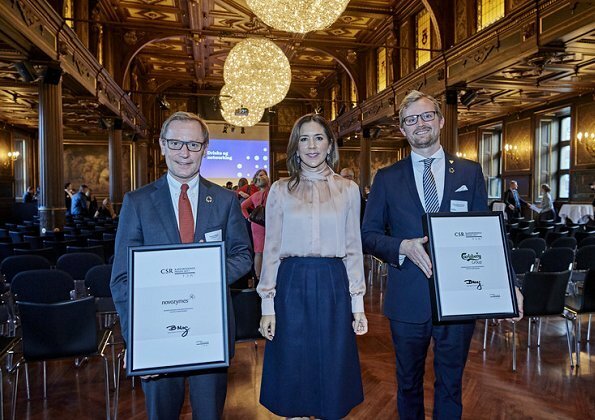 First pictures, correct as usual but a little boring. 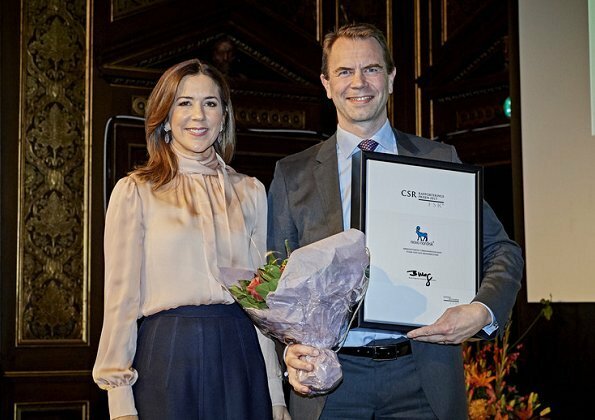 Better the black and white outfit.